Over the years I have visited and photographed all the Balearic islands, but Formentera is one of my most beloved. 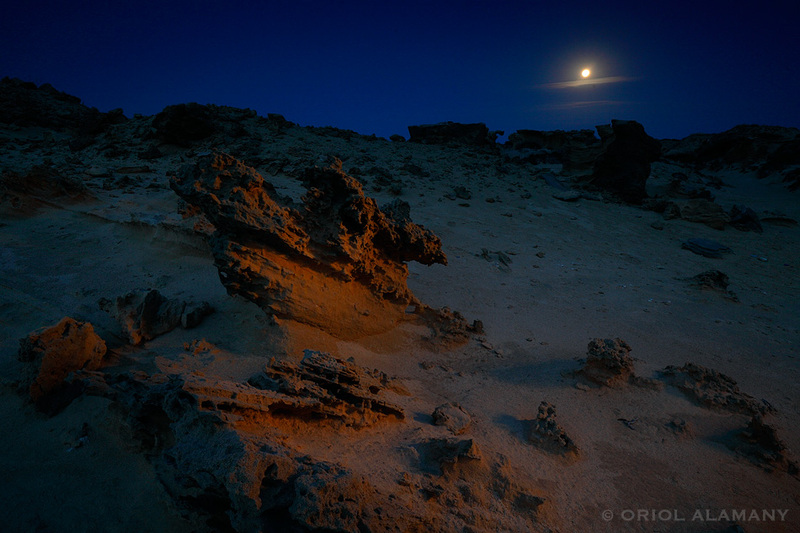 Here the Moon is rising in an already lunar landscape. To add to the mistery, I painted a little bit the rocks with a torch.